Meeting Lamont and hanging out with him in the studio as he wrote a new song for one of my acts, listening to his Motown stories was an incredible moment in my life - he is one of the kindest human beings I have ever met and shares his knowledge of songwriting without hesitation - that to me is always the mark of wisdom. 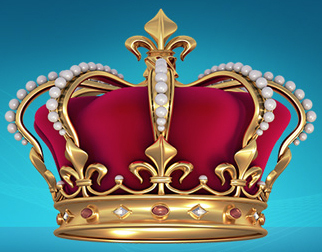 As the song goes Love Rules Over Kings and Fools. I visited the famous Motown Studio at 2648 West Grand Blvd. in Detroit, Michigan, Hitsville U.S.A. to see where those songs were recorded. I sat on the old swivel chair, toying with the crude 8 track mixing desk in the control room where they 'bounced' various tracks together to get to 16 or 24 tracks in total, and felt the 'air' of magical genius. The lino flooring under the chair was worn thru to the wood underneath from the million hours of working that desk. I pulled a corner of the lino and it came away, about a 2inch square. I confess to putting it in my pocket, it was a piece of deep musical history where many of my idols, including the incredible Mr Dozier, created their very unique magic. Here is a photo of the desk and the floor worn through to the wood. 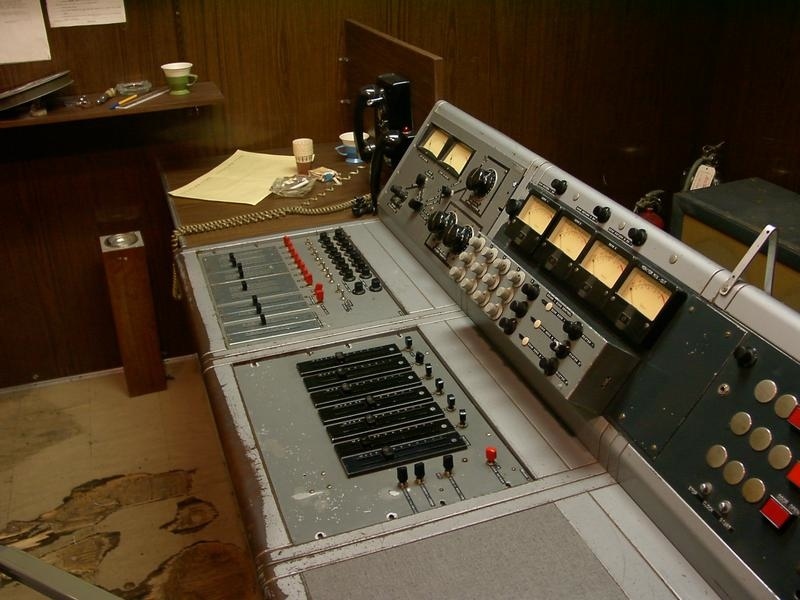 This was the desk that mixed all the huge Motown hits in the 60s through to the early 70s, amazing eh! Below the photo is more on Lamont Dozier himself. The Four Tops "Reach Out I'll Be There" one of twelve #1's hits in the US pop charts from 1964 to 1967, an amazing run of success. Lamont Dozier is the #1 songwriter in America. If you only know the legendary Lamont Dozier as one third of the songwriting team Holland-Dozier-Holland, you only know half of his incredible story. The internationally acclaimed, Grammy-award winning music master has spent more time before and after those heady years as a recording artist in his own right, as well as a solo and collaborative songwriter. He has indelibly impacted pop music for four decades ... and counting. At last, Lamont Dozier is bringing together the best of both sides of his career for the first time on his new CD, Reflections of ...This phenomenal album finds him reinterpreting 12 classic international #1 Pop/R&B hits that he wrote (along with Brian & Eddie Holland) for the likes of the Supremes and the Four Tops during Motown's golden mid-`60s years. It's Lamont Dozier -at the piano, singing all of the lead and background vocals with his romance ravished tenor -- unearthing new depths of emotion from memorable gems such as the first single "I Hear A Symphony," "Baby Love", "How "It's all about timing", performer/producer/arranger Dozier chuckles. "In these days of Botox, I decided to give the songs a facelift! I picked them because people would recognize them...the songs they danced and romanced to." The timing couldn't be better for a veteran like Dozier. With Michael McDonald's latest album of Motown covers selling so well, Al Green getting back with Willie Mitchell, and Ronald Isley teaming with Burt Bacharach, the AC radio landscape is loaded with listeners longing to hear familiar favorites in inviting new ways. "I thought the people that grew up with these songs might like to hear them the way they started when the Hollands and I were first creating them," Dozier shares. "There was a reason they started as ballads. In the studio, I'd sit at the piano and mentally slip myself into a melancholy situation. This way, the songs would have a lot of feeling. As writers, it became a habit to start out singing them really slow to milk the feelings, then picking up the tempo for the Motown stars to sing." On Reflections of..., Dozier massages your heart right from that opening track, "Where Did Our Love Go," moving it from the Supremes' bouncy 1964 morning ditty to a deep in the night moan of unrequited longing complete with a haunting violin solo from Harry Corzo. He then lends his plaintive tenor to a relaxed groove through "This Old Heart of Mine" that eases back on the fervor of The Isley Brothers' 1966 original. This is followed by a dramatic rearrangement of Martha & The Vandellas 1963 rave-up "(Love Is Like A) Heatwave" into a mellower feel-good vibe featuring Gerald Albright on sax. And so it goes, track after hypnotizing track, filled with fresh new turns of sweet surprise. Can you imagine what could have inspired such timeless love songs? "To tell the truth," Dozier confesses, "75% of the songs I wrote with the Hollands at the piano back then were all about one woman...my first love when I was about 12. She was so integral to my life. It didn't take long to figure out that when I was thinking about her...my feelings for her...I would come up with a lot of great ideas, pretty melodies and things for songs. My philosophy is if you as the singer are not feeling this stuff, nobody else will either. So I reached down deep within and gathered up those feelings. That's why there is such sincerity within these songs." Did the girl ever know she inspired so many million-selling capsules of love? "Absolutely not," Dozier laughs! Mr. Dozier's personal favorites are the first single, "I Hear a Symphony," and "My World Is Empty Without You," epic declarations of adoration. "You have to be in a mood to do these songs," Dozier muses. "I started reminiscing as I was singing and had what I call a miracle moment. It took me right back to that time of my life and I got all choked up. My brother, who was engineering, had to stop the tape a couple of times so I could gather myself. It got really intense there...remembering." A man of Lamont Dozier's accomplishments has a lot to remember beyond the sweetness of first love. Born and raised in Detroit, Michigan, he grew up listening to his father's record collection of seasoned pop/jazz singers. Between the Baptist gospel choir he sang in and the classical music his aunt played on the family piano, young Lamont absorbed both the power and the beauty to be found in music. By age 10, he started collecting his own records (from Johnny Mathis to Frankie Lymon), wrote his first lyrics at 11, added music at 12 and by the age of 13, knew he wanted to be a singing star. 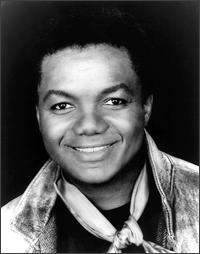 Lamont Dozier signed to Motown in 1962 as an artist, producer and songwriter. A partnership that began with Brian Holland and eventually his brother, Eddie Holland, led to the prolific trio cranking out an enviable, record-setting string of classic songs for the fast-rising company that not only became chart-toping million-sellers at that time, but have since been woven into the very fabric of American pop culture. They helped shape Motown into an industry powerhouse until they left in 1968. By 1972, Lamont longed to get back to his original musical aspirations. "It was like unfinished business for me," Dozier muses. So he parlayed the mid-west success of his single "Why Can't We Be Lovers" into a deal with then-industry giant ABC-Dunhill. He relocated to California and recorded his debut album, Out Here On My Own, containing the hits "Trying To Hold On To My Woman" and "Fish Ain't Bitin'," which scored him Billboard magazine's Best New Artist award. Stints on Warner Bros. (including the hit "Going Back To My Roots") and Columbia took him into the `80s. After a few independent releases, he packed up his family and moved to Europe for two productive years. "Pete Waterman (of British production trio Stock, Aitken & Waterman) came over, found me and talked me into going to England. 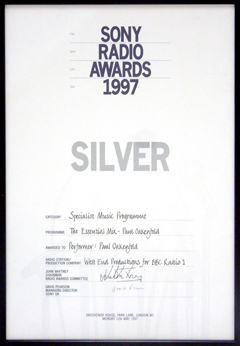 I met Alison Moyet, Simply Red, Boy George and Eric Clapton--an array of great English artists that I worked with and hung out with." "Two Hearts," a song on which Lamont collaborated with Phil Collins for the soundtrack of the movie Buster, earned the duo a Grammy, a Brit award, a Golden Globe, an Oscar nomination and Britain's distinguished Ivor Novello Award. With everyone from dance music star Mya to alternative rock band Linkin Park sampling his classics, there is little left for Lamont to prove. All the Rock and Roll Hall of Fame and Songwriter Hall of Fame inductee desires to do now is spread the joy and beauty of his music and that of others. Those plans include quality time with his wife and three children, completing his Broadway musical "Roll Over Beethoven," launching new artists on Jam Right, and enjoying a second chance at life for Reflections of.... - the rebirth of Lamont Dozier -- reinterpreting the timeless songs that have made him an icon. "It always comes back to my love of music and making people feel good," Dozier concludes. "I can still remember as a kid being way up in the balcony of The Paradise Theatre in Detroit, gazing down at the giants of music that looked like little ants on the stage. The people in the audience were laughing and crying, thoroughly enjoying these artists. I thought to myself, ‘I want to do that one day.' I wanted to contribute in that way to the world...not just as a writer, but as a singer. Somehow over the years, I got caught up creating careers for others. My new millennium resolution is to reach the top of this one last mountain to climb." The Wikipedia link to Lamont's songs with the Holland brothers.